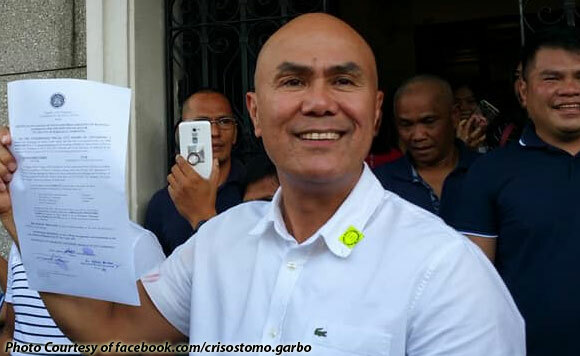 Newly proclaimed Mabacalat Mayor Crisostomo Garbo has vowed to not be vindictive after assuming his post last June 30. The Regional Trial Court Branch 58 earlier rejected Vice Mayor Christian Halili’s motion for an extension of the 72-hour temporary restraining order (TRO) against Garbo’s mayorship. Halili became mayor last June 19 after Mayor Marino Morals relinquished his post following his disqualification from the 2016 mayoral race. “I always pray for our beloved city. I enjoin our people to unite for the progress of Mabalacat,” Garbo said.